Chevy Bolt EV Sighted in the Wild! Yesterday, as I walked out of the sandwich place where I had just finished my chicken cobb salad, I saw a familiar roofline cruise by. 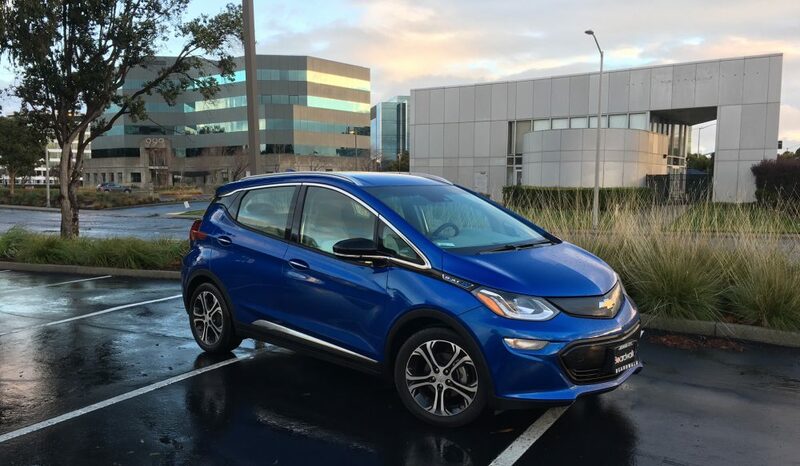 It was a silver Chevrolet Bolt EV, and it turned left into the parking lot. It looked like the car pictured above. He was a friendly, white-haired guy named Dan. We chatted about how it was enjoyable to drive, and he mentioned a couple of previous vehicles, included a tired Camry. He volunteered that he wasn’t enamored with the Bolt’s styling (“an angry fish”) so much but liked the way it drove. I showed him a photo of my own Bolt on my phone, because I had walked over and it wasn’t there. We parted after a minute or two. Why did you get an electric car? That’s always the big question. The Bolt’s 200+ mile range mitigates most issues, but there’s still a question of cost, and which EV to get. Did the person get the car because of environmental awareness, to save gas, or some other reason? I’ll have to remember that for next time I run into a new Bolt owner. I hope it’s soon.